I have to be honest, I was assuming that this comparison was going to be an open an shut case for Wix. Having said that, it’s been a while since I last visited SiteBuilder. The last I was there, I had very mixed emotions. I’m hoping they’ve resolved some of these issues which would put this comparison on a much more level playing field. Well, there’s only one way to find out, so let’s get stuck in! 5. 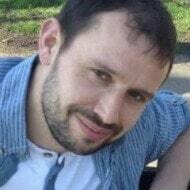 Customer Support – Who Has Your Back? 6. Pricing – Is There Much Difference? 7. Conclusion – The Results Are In! When using a DIY website builder, one of the first jobs is to choose a template which acts as a starting point for your website. 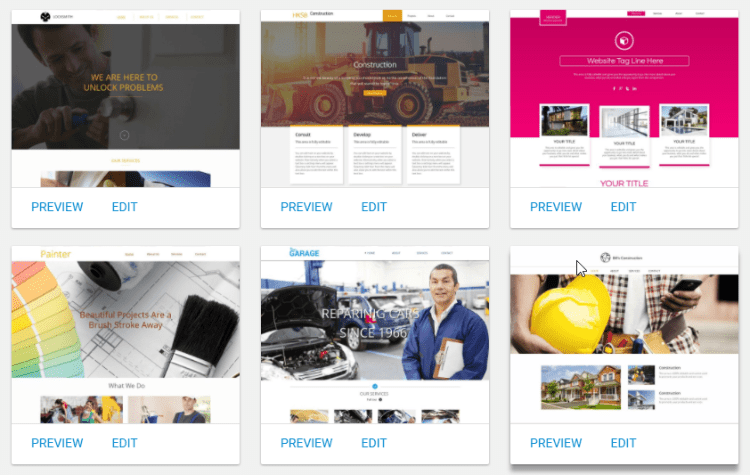 Both Wix and SiteBuilder’s templates come equipped with sample content and images which you can quickly swap out for your own. One thing to note here is neither platform allows you to change your template down the road so choose wisely! SiteBuilder offers a choice of over a thousand templates for you to choose from although many of them are only available as part of a premium membership. The templates are spread across 20+ categories including beauty & fashion, business, technology, restaurants, blogs, weddings, and pets & animals. I can say with confidence that you won’t have too much trouble finding the right template for your business or project. Wix has a much smaller selection in comparison (around 500), yet this is still way more than most other platforms out there. What they lack in quantity (compared to SiteBuilder), they make-up for in quantity. When you click on a particular category, you’ll be met with a bunch of sub-categories so you can “niche-down” further. For example, I clicked on the business category and was met with consulting & coaching, services & maintenance, real estate, advertising & marketing to name but a few. Templates summary: SiteBuilder has a much larger selection but Wix’s are of a higher quality and I find them to be more customizable for beginners. The good news is, ease of use was obviously at the top of both Wix and SiteBuilder’s priority list when creating their website editors. obviously, you’ll still have to spend a little time familiarizing yourself with the website building tools on offer before jumping in. 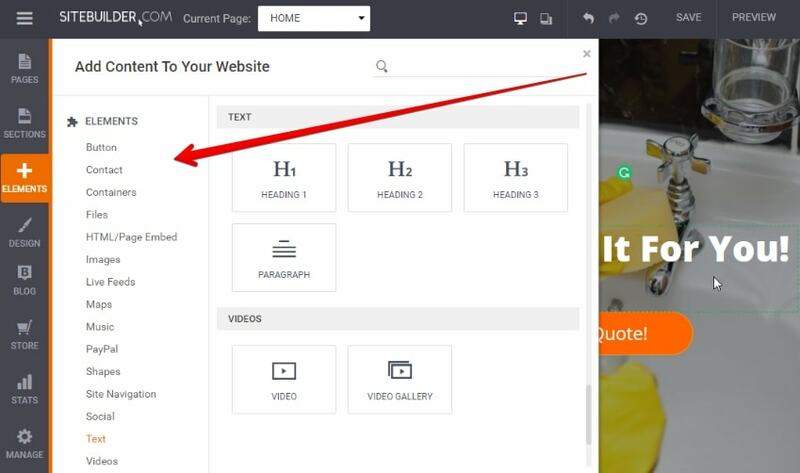 SiteBuilder has a drag ‘n’ drop editor allowing you to make changes to the text and images directly on your page. You’ll also find the main control panel situated on the left-hand side of the page. The admin panel allows you to quickly drag over image galleries, forms, blog, and change your website colors and fonts. They also have a 15-second gettings started tutorial which will help you find your feet. Wix to me feels a little more cluttered compared to SiteBuilder when you first step inside and that’s due to all of the website building tools you have at your disposal. You can literally drag and drop text and images around your page with a sense of freedom you don’t really find anywhere else. SiteBuilder works in a similar way although you’ll be a little more restricted as to where you can place certain elements. The great thing is, all of Wix’s tools have a little information button next to them explaining exactly what they do so you’ll never be stuck for long. Wix also offers another option if you don’t wish to get your hands dirty so to speak. After creating your account, you can choose to build your website using Wix ADI (artificial intelligence). 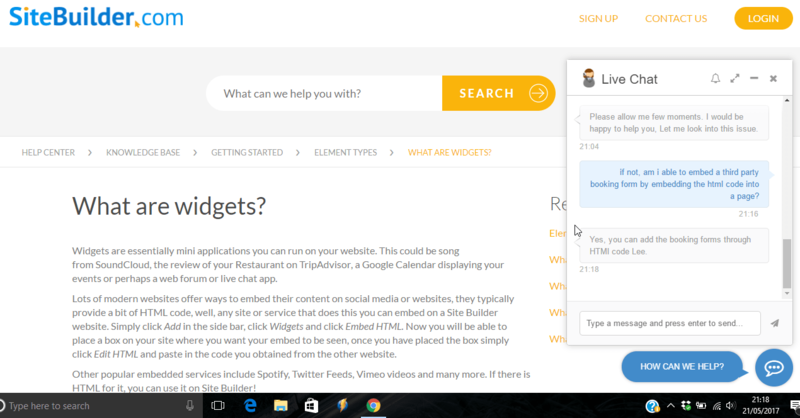 Simply answer a series of questions and Wix will build your site depending on your answers. You can then make your own manual customizations before you make your website live. Ease of use summary: Both are darn easy to use. SiteBuilder probably feels the least daunting of the two when you first get started although Wix offers a much more hands-off approach thanks to the Wix ADI feature. You won’t have to worry about spending hours creating a separate mobile version of your website as they’ll both automatically shrink down to fit the screens of phone and tablets. Wix usually has a slight advantage compared to other website builders in the mobile stakes as they offer a separate mobile editor. It’s completely optional, but it lets you customize your site for people visiting from a phone or tablet. You can add, remove, or simply hide certain elements. Today is a little different as SiteBuilder also gives you this option. Well done SiteBuilder for standing up to Wix! Mobile summary: Both are mobile friendly out of the box and also allow you to streamline your site for mobile visitors if you wish. Wix and SiteBuilder have quite a few features in common and they cover many of the essentials. They include a blog, store, social media integration, Google Maps, buttons, and contact forms. They even have a built-in image editor to help you bring your pictures to life. 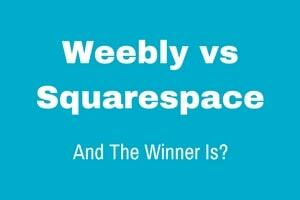 However, when it comes down to it, I’m yet to find a website builder than compares to Wix (although Weebly comes close). 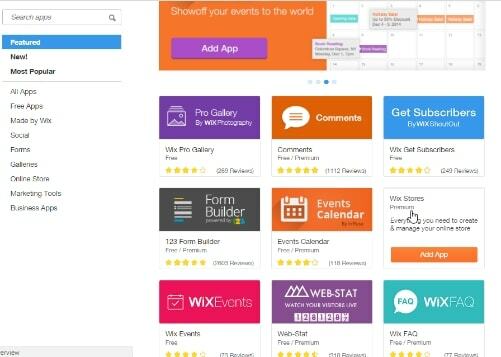 Wix has an app store (above) which allows you to quickly add additional functionality to your site such as hotel bookings, restaurant reservations, multilingual support, membership features, appointment scheduling, native newsletter platform, live chat, invoicing software, the list continues. Note: I should point out that some of these apps carry additional costs but it’s nice to know they’re there if you need ’em. Most come with a basic free plan or at the very least, a free trial. Features summary: I’m pleased to say that SiteBuilder has more features than I remember and they definitely have all of the basics covered. With that said, I still feel that Wix is 5 steps ahead. Wix has a ton of step-by-step tutorials available on their YouTube channel that’ll walk you through various aspects of setting up, creating, and promoting your website. Personally, I’ve always received timely help from the Wix support team which you can contact through email or you can request a callback. I’ll be the first to admit that Wix’s contact details aren’t the easiest to find as they’re buried deep inside the knowledgebase as they encourage you to find your own answers first. SiteBuilder displays their contact details including phone number, live chat, and email on their contact page. That may sound good and all, but I didn’t exactly receive the best support when I reviewed them originally. I decided to give them the benefit of the doubt (you know, cos I’m that kind of guy) and contacted them again via live chat for the purpose of this comparison. This time, I asked the same question and was given totally the opposite answer! I hate to say it, but I’m beginning to think that customer support isn’t their strong point! Support summary: SiteBuilder offers more ways to get in touch but the support I’ve received leaves a lot to be desired. Wix has fewer options and it’s harder to find them. Having said that, Wix staff are very knowledgeable, friendly, and helpful. Both Wix and SiteBuilder offer an ongoing free plan. Of course, there are restrictions such as company branding on your website and many of the features you’ll need will be restricted such as the ability to connect your own domain name (web address). Both platforms offer you a free domain name for the first year if you take them up on an annual plan (approx $20 value). Wix has a very cheap plan at just $5/month but when you look closer, you’ll find that your site will still contain ads. To remove them, you’ll have to go with the Combo plan at $10/month. If you’re selling products, you’ll need the eCommerce plan which is $17/month. SiteBuilder’s cheapest plan is $7.68/month and this will remove the company branding straight away. If you want priority support, you’ll need the middle plan at $11.98/month. You can only sell products with the eCommerce plan which is $18.45/month. Pricing summary: Both offer a free plan. Other than that, there’s not a lot in it pricing wise suffice to say, Wix offers more “bang for your buck”. Wix and SiteBuilder actually have a fair bit in common. They’re both easy to use, they make it easy to find a template to suit your business or project, they’re both mobile friendly and there’s not a great deal in it when it comes to pricing. Having said that, Wix is much more flexible and allows you to create just about any type of website you want. You also have more freedom when it comes to customizing their beautiful design templates. Don’t get me wrong, SiteBuilder has a lot going for it, it’s just that I can’t find any “stand-out” reasons to use them over Wix. If you’re still unsure at this point, my best advice is to create a free account and try them both for yourself. After all, that’s the only real way to know which one is best for you. I’d love to know which platform you choose and more importantly, why you chose it. You can let me know in the comments section below as well as any questions you have.